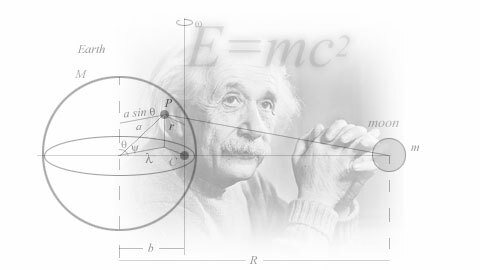 Physics is a branch of science that seeks to understand basic concepts such as force, energy, mass, charge and the relationship between matter and motion. More completely, it is the general analysis of nature, conducted in order to understand how the world and universe around us behaves. The term 'universe' is defined as everything that physically exists: the entirety of space and time, all forms of matter, energy and momentum, and the physical laws and constants that govern them, as well as, denoting concepts such as the cosmos, the world, and nature. Physics is one of the oldest academic disciplines, perhaps the oldest through its inclusion of astronomy. Over the last two millennia, physics had been considered synonymous with philosophy, chemistry, and certain branches of mathematics and biology, but during the Scientific Revolution in the 16th century, it emerged to become a unique modern science in its own right. However, in some subject areas such as in mathematical physics and quantum chemistry, the boundaries and the borderlines of physics remain difficult to distinguish. Physics is both significant and influential, in part because advances in its understanding have often translated into new technologies, but also because new ideas in physics often resonate with the other sciences, mathematics and philosophy. For example, advances in the understanding of electromagnetism led directly to the development of new products which have dramatically transformed modern-day society (e.g., television, computers, and domestic appliances); advances in thermodynamics led to the development of motorized transport; and advances in mechanics inspired the development of the calculus, quantum chemistry, and the use of instruments like the electron microscope in microbiology. Today, physics is both a broad and very deep subject that, in practical/fundamental terms, can be split into several subfields. It can also be divided into two conceptually different branches: Theoretical physics and experimental physics. The former deals with the inquiry and foundation of new theories while the latter deals with the experimental testing of these new, or existing, theories. Even though significant progress and important discoveries have been made in the field of physics during the last four centuries, many significant questions about nature and the universe still remain unanswered. In many areas of physics, it is still a continuing effort to try to gain a clearer understanding to the unknown and the outskirts of physics.